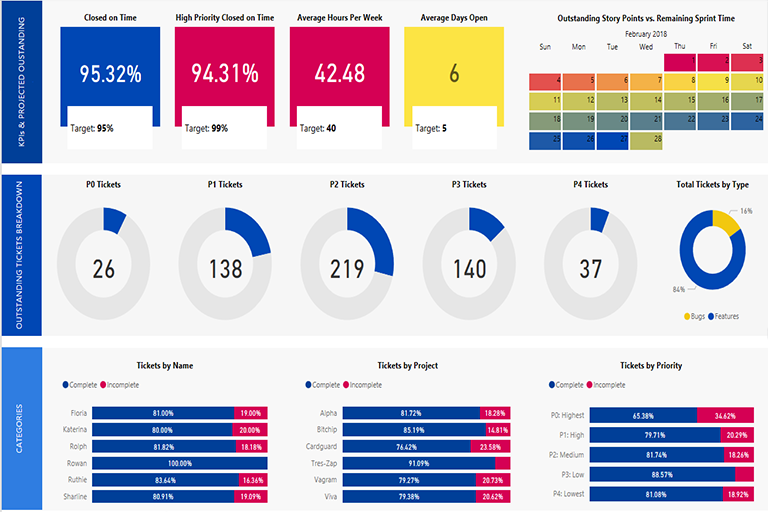 This solution helps project managers track key performance indicators (KPI’s) (i.e. number of open issues, project velocity, # of hours consumed per project) so that intelligent decisions can be made regarding resource planning. 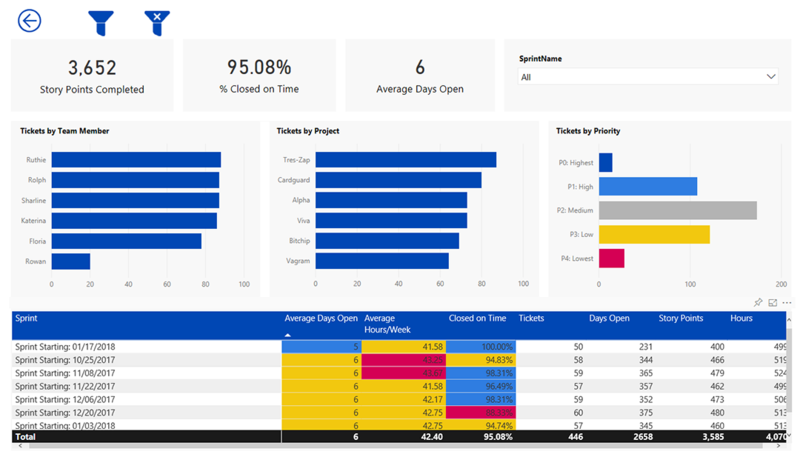 The information presented in this dashboard helps project managers focus on key areas and ensure customer project needs are being met according to the agreed upon schedule. 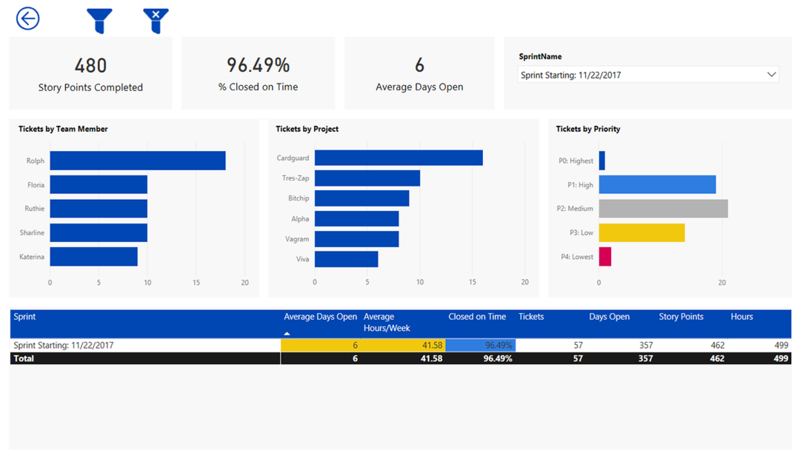 in addition to information on current sprints, the reporting also allows project managers to review performance over time. This historical information allows managers to drill down into the data and identify areas of improvement. 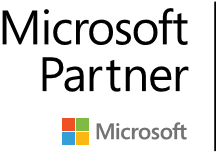 PowerBI allows you to easily integrate data from different sources. 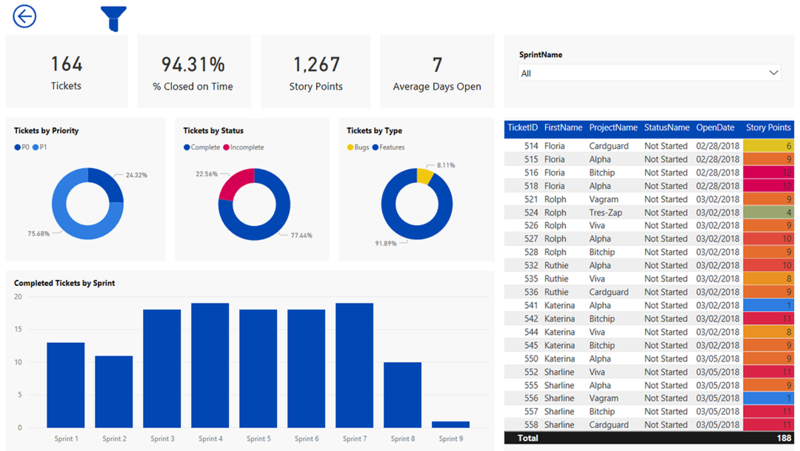 in this project, a web API was used to pull data from a cloud-based issue tracking system. This data was then integrated with information from an on-premises database used in an internal time-keeping system. Interactive visuals were created to provide information and insights to project managers.